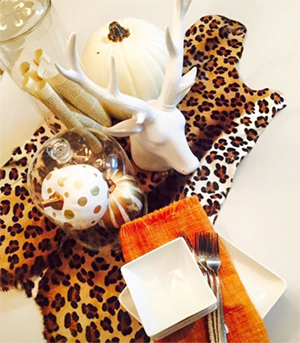 With cool fall weather creeping in, it’s time to put the finishing touches on our fall decorating. 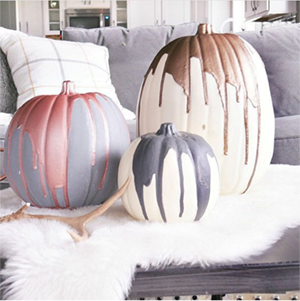 Lately I’ve been loving playing around with my pumpkins, trying different colors and styling. Try breaking free from your traditional fall looks and move into something more modern and unique. 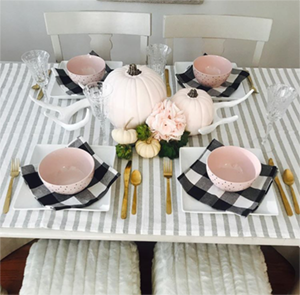 Pink and white have definitely been a favorite of mine this season! 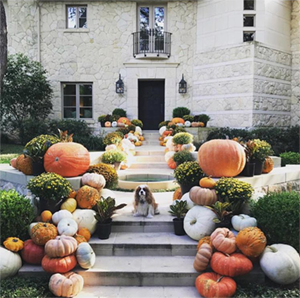 Check out how I got creative with my pumpkins and what inspired me! Love this look! Pic via Instagram @thrifyniftynest. Brought my cheetah print out, such a fun look! Follow us on Instagram @greyhuntinteriors. Such a great idea! Pic via Instagram @tcslye. Subtle hints of fall! Pic via Instagram @theluxmylife. 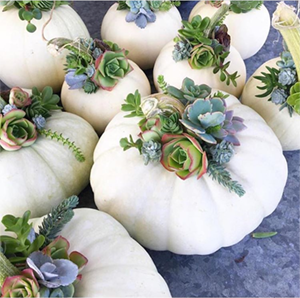 Never seen such glam pumpkins before! Pic via Instagram. What a gran entrance! Pic via Instagram @traciwhitedesigns. Such a pretty blue. Pic via Instagram. Set up my own little fall dinner. Follow us on Instagram @greyhuntinteriors. Pretty in pink! Pic via Instagram @theluxmylife.